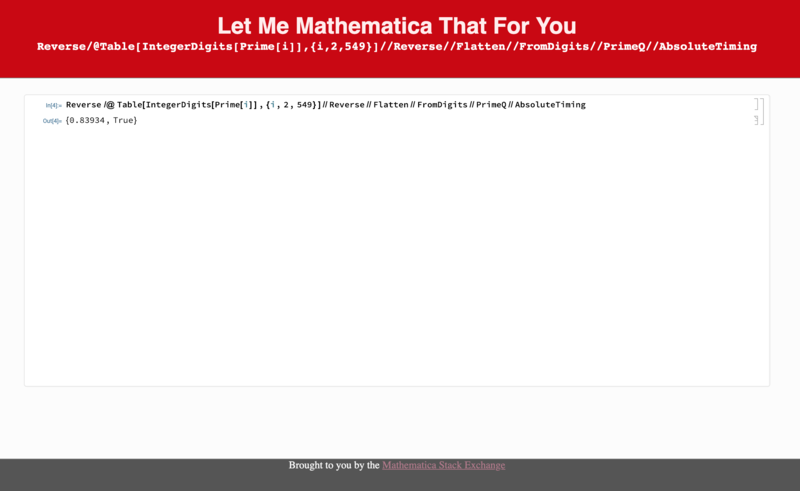 Ever wanted to do the equivalent of "Let me Google that for you" for a stupid, trivial Mathematica question? Now you can! Feel free to use it yourself. It doesn't cost me anything. All of the HTML fits on a single page, so feel free to fork and use it for your own things too. Impressive, it is really like working on a "real" session! Thank you very much for sharing this.